For an animal that’s afraid of water, they did a heck of a lot of sailing. Cats are constant companions for many of us, outnumbering dogs by some 75 million worldwide, and living as full-fledged family members in more than a third of homes in the US alone. That’s nothing to say of their popularity on the Internet (click here for cute cat photos; you know you want to). But we haven’t known much about how cats became so widespread. That’s partly because while we’ve bred dogs for centuries, we haven’t studied the genetic history of felines as closely. That’s changed after findings from the largest-ever DNA study of ancient cats was presented in Oxford on Sept. 15. It contains a few surprises. Geneticists led by Eva-Marie Geigl of the Institut Jacques Monod in Paris studied remains of 209 cats who lived as long as 15,000 years ago, from more than 30 sites across Europe, the Middle East and Africa. Geigl’s team sequenced their mitochondrial DNA, which is passed on from mother to kitten. They found that cats from across the Middle East and Eastern Mediterranean shared the same lineage. We’ve had a close relationship with felines for at least 9,500 years, about 4,000 years before Ancient Egyptians began depicting them. We know that because a grave containing a human and a cat was unearthed in Cyprus in 2001. 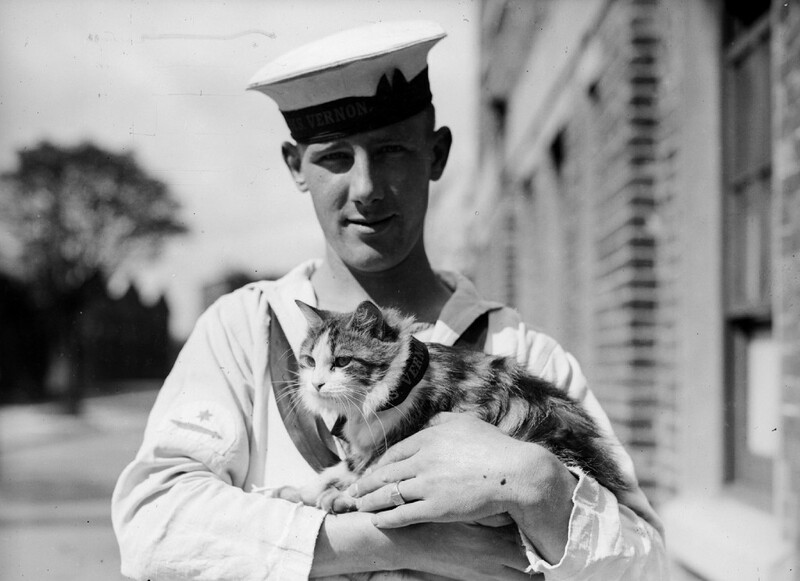 Cats aren’t native to Cyprus, so the cat must have come by boat. However, cats are also seen in engravings and pottery dating back even earlier, to the late Stone Age 10,000 years ago. Scientists think we probably started domesticating wild cats with the advent of agriculture in the “Fertile Crescent” of the Middle East, about 12,000 years ago. Fields and grain stores attracted rodents, which attracted cats. Farmers probably encouraged mousing, and cats spread across the Eastern Mediterranean. Eventually the cat was taken into the home. 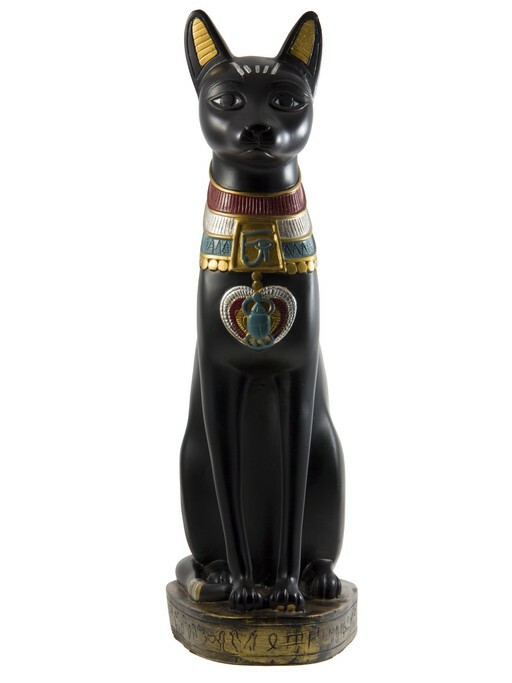 Ancient Egyptian art depicts cats beginning about 6,000 years ago. The haughty felines occupied a vaunted position in Egyptian society. They were deified in the forms of the goddesses Bastet, Sekhmet and others. 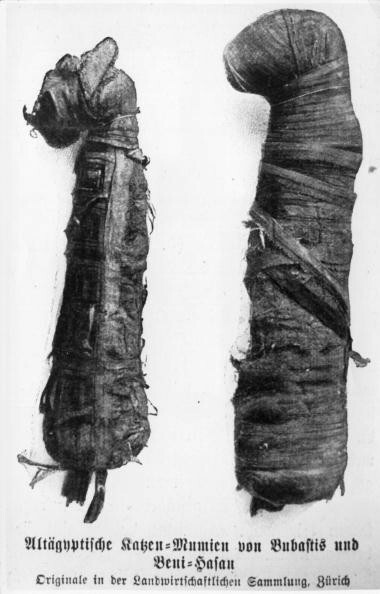 Egyptians may have bred their own cat species, and later took great care to mummify millions of them, in the same manner as they did their pharaohs. Geigl says her research shows that when the Egyptians took to the sea, they brought cats with them, presumably to chase down rodents on boats. As a result, the cats she analyzed from Bulgaria, Turkey and Sub-Saharan Africa had the same mitochondrial DNA lineage as the Egyptian cats. Geigl also tested cat remains from a Viking settlement in northern Germany, dated to between the 8th and 11th centuries AD. 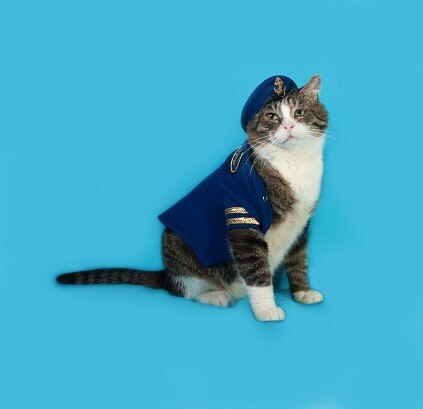 The cats had the same mitochondrial lineage as the Egyptian cats. That’s no surprise to Norwegian cultural historian Jes Martens, of the Cultural History Museum in Oslo, Norway. 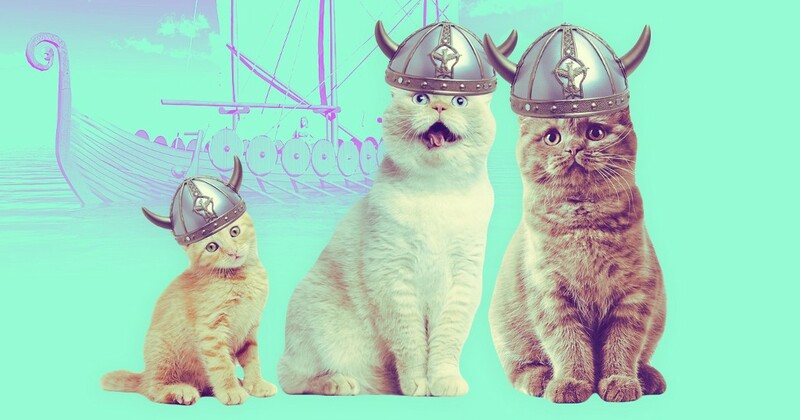 He told ScienceNordic that, as in Egypt, cats were of great ritual importance to Vikings. “Freja, the goddess of love, had two cats that pulled her carriage,” said Martens, who added that it made sense Vikings would have brought kitties with them when they pillaged Europe, set up new trading routes and discovered new lands. If you’re a fan of tabby cats, with stripes, dots and swirls in their fur, you might be interested to know that those patterns did not appear until the Middle Ages, according to Geigl’s research. Sequencing the cat genome has been given short shrift in favor of dogs, whose genes are already widely studied by breeders and kennel clubs, but Geigl hopes to change that with future research.